One goal of the Affordable Care Act (ACA) was to develop uniformity in coverage to ensure that all medical coverage included certain services. However, two interim regulations were passed, essentially allowing individuals and employers to keep their plans that were not completely ACA-compliant. Those regulations were termed “grandfathering” and “grandmothering.” Grandfathering was available to all employers that wanted to keep the plans they had in place prior to the passage of the ACA. For a plan to maintain grandfathered status, there were significant restrictions to plan design modifications and changes to employee contributions. The reality was that very few employers were able to maintain grandfathered status. In the 2016 UBA Health Plan Survey, only 5.9 percent of plans were still grandfathered. Grandmothering was a little easier process. In March 2014, the Department of Health and Human Services released a transitional ruling that allowed small employers (employers with fewer than 50 employees) to keep their pre-ACA plan. This new transition relief was termed “grandmothering.” Each state had the opportunity to decide if it would allow the transitional relief in that state. Further, each insurance company was also allowed the decision to participate. Only 35 states eventually allowed the transitional relief and even fewer insurance companies consented to let employers to keep their pre-ACA plans. Still 8.1 percent of the plans in the 2016 UBA Health Plan Survey are grandmothered plans, down from 17 percent in 2015. 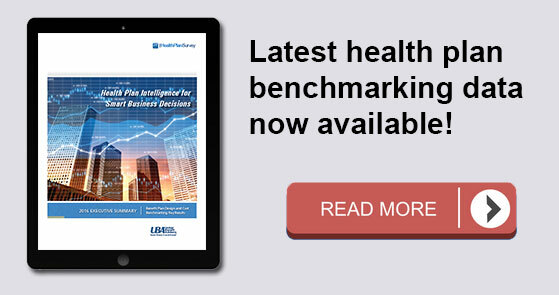 As a result, a number of small employers in certain states have the luxury of being able to choose between their current non-ACA compliant plans (grandmothered plans) and the ACA community rated plans. For a limited time, these employers have the best of both worlds – being able to choose the rating structure that best fits the demographics of their group! 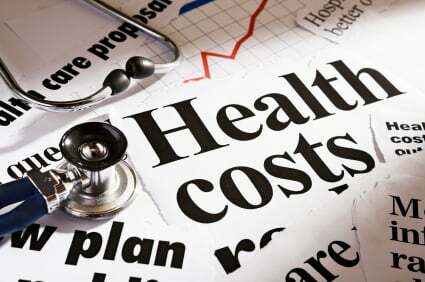 Generally, pre-ACA plans are composite rated and based on the health status of the group, meaning a group with more health claims will pay a higher rate than a similarly situated healthy group. ACA-compliant plans are age-based and community rated, meaning the rates do not rely on the specific health status of each group – two groups with the same demographic make-up will pay the same rate, even if one is healthy and one is unhealthy. ACA-compliant community rating also limits the ratio between the rate for the oldest individual and the youngest individual. Pre-ACA plans allowed a much larger difference. In effect, the rate of the younger individual is higher under an ACA-compliant plan to account for the new ACA restrictions. For those employers in the states and covered by the insurance companies choosing to participate in the transitional relief, a new method of maintaining lower health insurance premiums arose. As long as a group has maintained grandmother status, each year at renewal the group has the choice to keep its pre-ACA plans or move to an ACA community rated plan. Once an employer moves to an ACA community rated plan, it cannot move back to the pre-ACA plan. A small employer with younger, healthier employees benefits from staying on the grandmothered plan because the rates are based on the health status of the group and the rate structure favors younger employees. Conversely, a small employer with an older group and whose employees are experiencing more health claims would benefit by moving to an ACA-compliant plan where the rates are community rated. We saw the true effect of this in the results from the 2016 UBA Health Plan Survey – when you compare the average monthly premium for single coverage over the last two years, the smallest employers (those with fewer than 25 employees) are actually paying 4.1 percent less on average, going from $540 in 2015 to $518 in 2016. The window for this cost saving method is quickly closing, as the grandmothering provision expires in December 2017. By the end of 2017, we will see the full effect of the ACA on these small employers. For a comprehensive discussion of the impact of grandmothering and other cost and plan design trends, download UBA’s 2016 Health Plan Survey Executive Summary.